The proliferation of virtual reality and augmented reality devices is great, but there is not nearly enough content available to make it worth considering for most. The reason standard Internet video on platforms like YouTube and Vimeo has become so popular is because there is a lot of content, and it can be created by anyone. 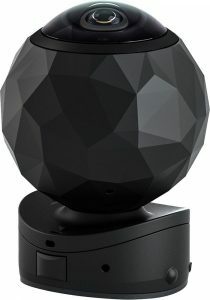 360fly has created a camera that allows people to record fully-immersive video as easily as you currently record standard video. Slightly larger than a GoPro, this camera can record full 360 degrees horizontally and 240 degrees vertically. This means that your skateboarding, snowboarding or other videos can be seen with a VR headset as if you were there. Adding even more to the platform, the company has announced a partnership that will bring the camera, in a slightly different body, to helmets to prevent the added bump that can get caught. The normal camera is available now exclusively at Best Buy for $399.